Happy New Year’s Eve! 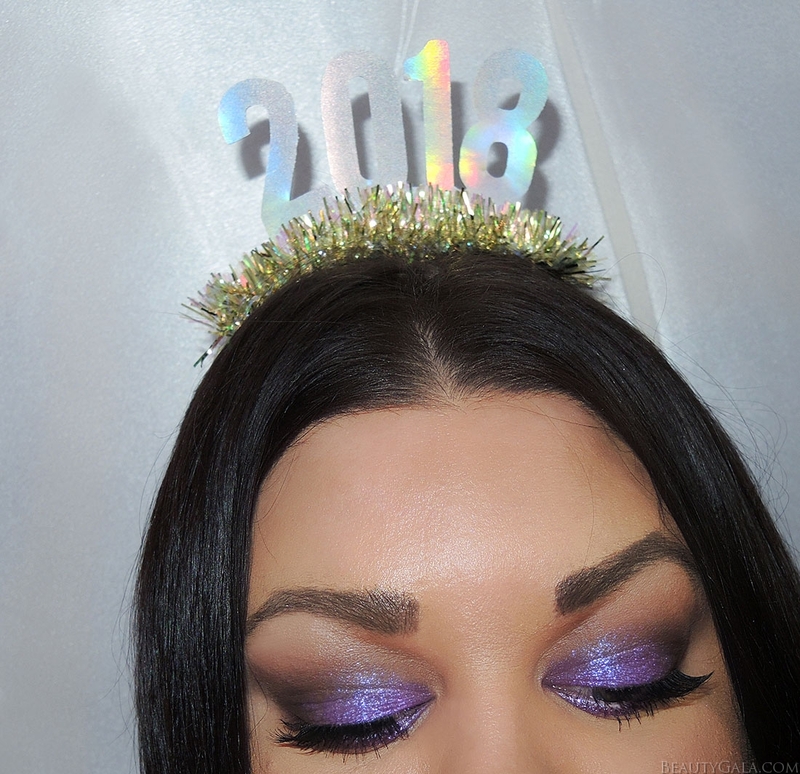 2018 is almost upon us and I am bringing in the new year with some sparkling purple makeup. 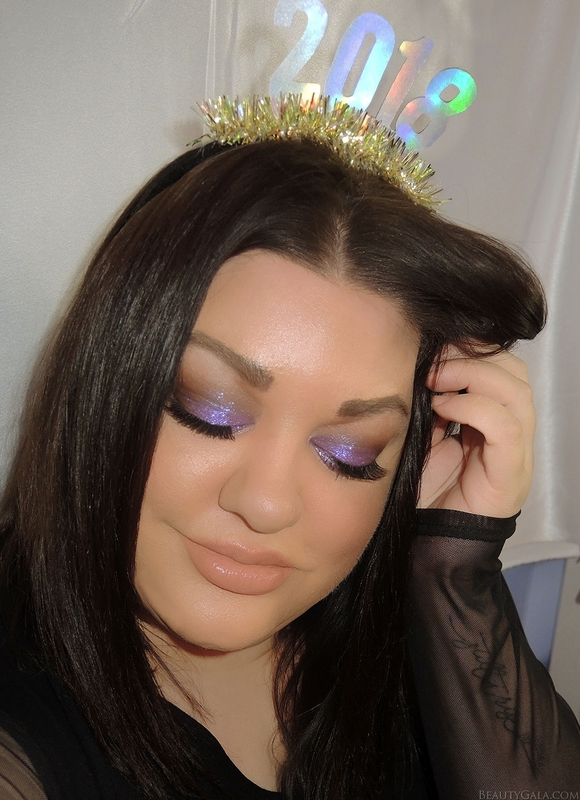 I think New Year’s makeup is probably my favorite to do because you can have endless amounts of fun with it. Glitter, bright colors, vampy lipstick…it’s all on the table. 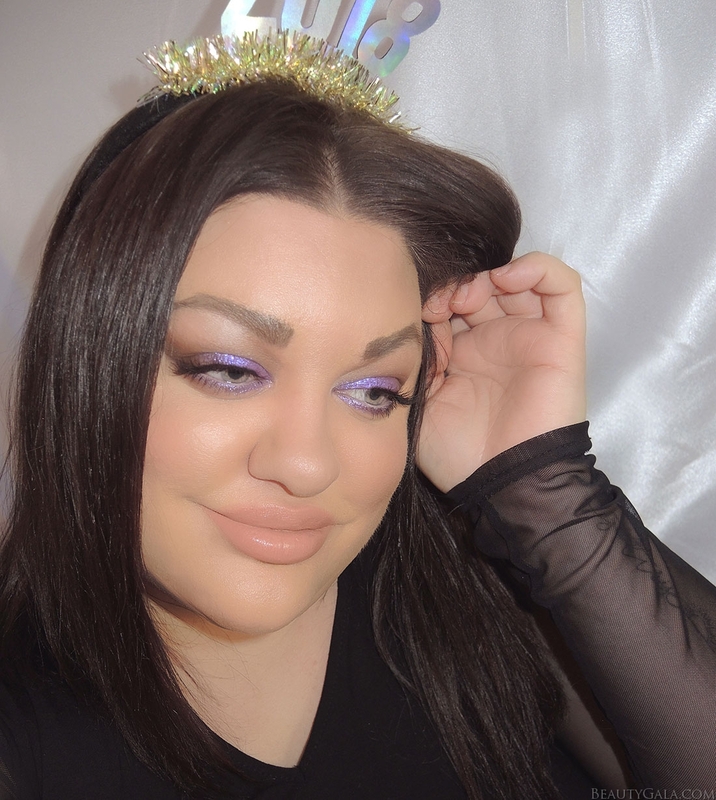 After a recent Colourpop sale, I bought a shade called Dare and when it got to my house last week, I knew this was going to be a purple New Year’s Eve. It’s such a bright, beautiful purple with loads of duo-chrome pink and blue sparkle in it. Use 2 or 3 shades of matte brown in the crease of your eyes. I used my Jaclyn Hill Morphe Palette for this. You want the brown shades to be medium and dark, so you can layer and build up the socket color and the outer part of the eye. Apply Colourpop “Dare” over the entire eyelid and along the lower lash-line. 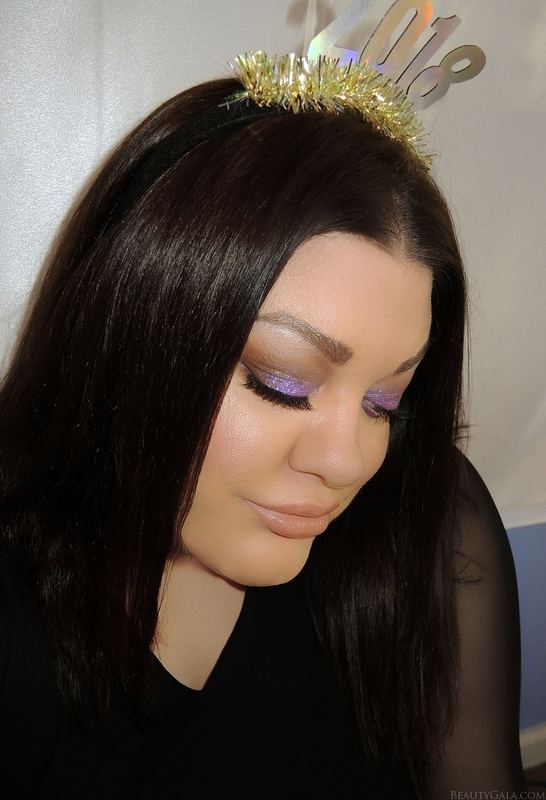 If you don’t own this shade, there is a wonderful shimmering purple shade in the Jaclyn Hill Palette. 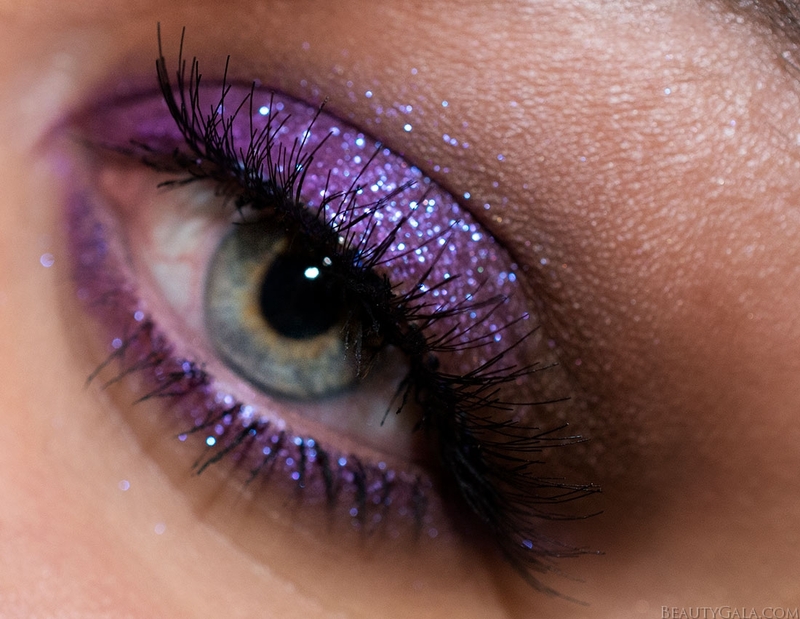 Apply Urban Decay Heavy Metal Glitter Eyeliner in Distortion to the lower inner-corner of your eyes. Apply MAKE UP FOR EVER Eyeliner in M92 to your lower water-line. Curl your lashes and apply your favorite mascara. When the eyeshadow hits the light just right, it gleams and shines so uniquely. Every product that I used on my face is listed below. Cheers to 2018!